The once picture-perfect relationship between reality star Kylie Jenner and BFF Jordyn Woods seems like it’s 100 per cent over, along with their make-up collaboration for Kylie Cosmetics. But you don’t have to look far for another beauty collab from the constantly busy family. Khloe Kardashian and best friend Malika Haqq recently released their limited-edition #BECCABFFs Collection along with Becca Cosmetics, which celebrates each of the women’s complexions. 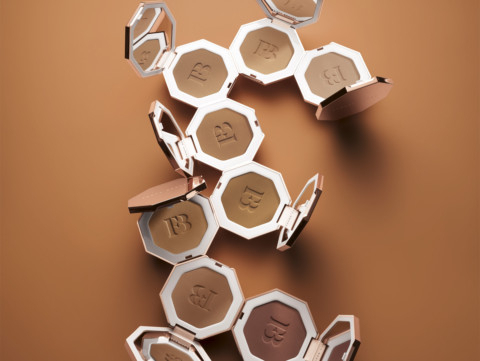 If you’re the kind of person who bathes in bronzer, then you’re going to want to check out Fenty Beauty’s latest irresistible creation. The Sun Stalk’r Instant Warmth Bronzer (Dh130) comes in eight shades, so everyone can get their hands on that Fenty glow. The product is smooth, creamy and easy to blend — no patchy application in sight — with a matte finish. The rose gold packaging is on point (as per usual) and comes with a mirror inside, perfect for when you’re on the go. Rumour has it that Fenty Beauty founder Rihanna is taking her brand to the next level with a skincare line. According to reports, the trademark for ‘Fenty Skin’ was filed with the United States Patent and Trademark Office database on March 25. It will cover “medicated and non-medicated skincare, soap, body care, and personal care products (excluding colour cosmetics, perfume, and other fragrance-only products), and related accessories such as kits, tools, and applicators”. Whatever she’s planning, we can’t wait.